I am pleased to announce the call for papers for the next animated documentary symposium at the Royal College of Art, London, which I am helping to organise and also programme. 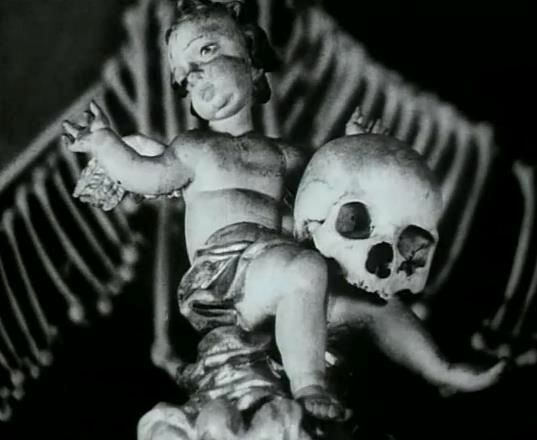 Image from Jan Svankmajer’s Ossuary. The second animated documentary symposium at the RCA is back! We want to continue with the examination of how animation can contribute to, challenge and push the boundaries of what documentary film can be. We will consider animation in the most expanded sense and are interested in proposals that may question and redefine the frontiers of animation itself. We can also confirm that Annabelle Honess Roe, author of ‘Animated Documentary’, will be one of our keynote speakers. We invite speakers to present projects that roam the landscape (whether real or imagined), dig beneath the surface, penetrate through the sediments of our understanding of reality, explore vertical time of poetry, examine hidden histories, project visions of future, or trace new connections between concepts, use fabrication and imagination to touch upon vital issues: whether these are social, political, philosophical, or personal. At a time of polarised political views and a deep sense of division, it seems to be a relevant moment to question the concept of darkness and light, aesthetically, politically, ethically, imaginatively. How can our work be of relevance, help us understand where we have been, where we are, and where we might go? How can the notion of ecstatic truth cast light on the shadowy concept of post-truth and what contribution can animated documentary bring to this debate? How can animation documentary, in its most expanded form, illuminate us? We are opening this call for paper to PhD students, researchers (within animation but also beyond), filmmakers and other practitioners, who use animation as part of their methodology, their way of trying to understand the world. Human condition, social issues, society, social commentary, religious or spiritual, re-contextualising documentary footage, post-truth/ecstatic truth/animated form, expressive and experiential forms of conveying meaning, questions of subjectivity etc. Relevant images or link to films online.